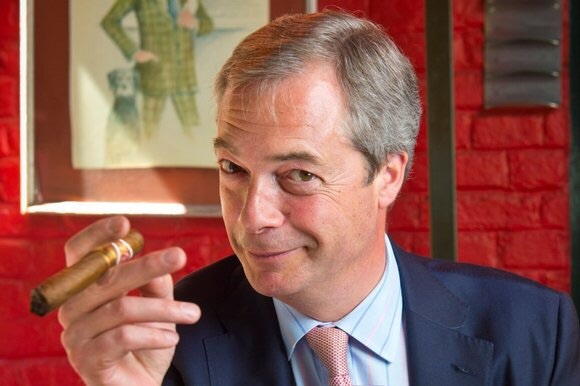 A result that most pundits are calling a huge surprise from an outsider the stand up comedian Nigel Farage has scooped one of the most prestigious prizes in comedy, the Perrier Award at the Edinburgh Fringe Festival. 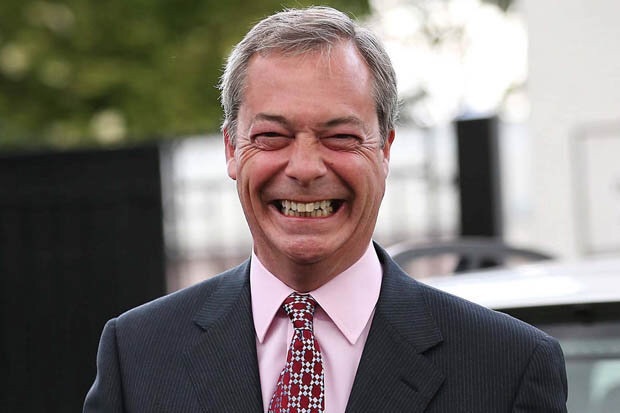 Nigel Farage’s brand of political comedy and satire is something that has not been seen before, and it has certainly held great sway with the judges here in Edinburgh. 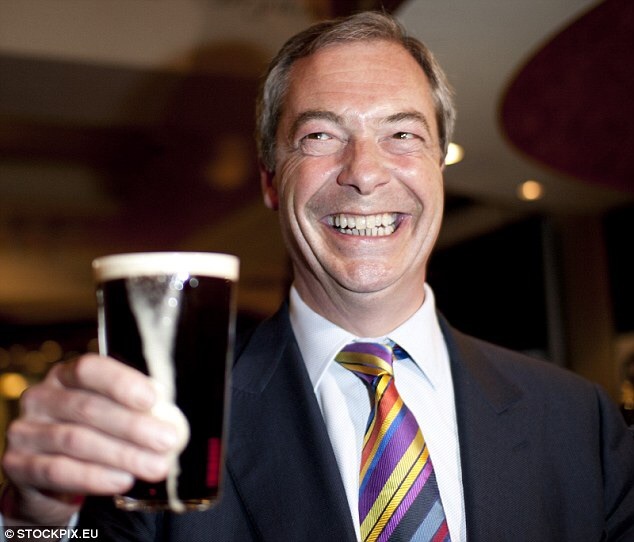 Farage, known for his comical gurning and blokey tone with the audience, is straight from the school of Al Murray pub landlord; always with a pint in hand and the grin of a madman on his face. But he goes further than Al Murray by delivering a cuttingly ironic far right brand of comedy that cuts close to the bone. One judge said that “his routine about the President of the EU is one of the most hilarious things he had ever seen”. A routine which also went down well with audiences who were rolling with laughter in the aisles. It seems one of the reasons people find Farage’s stand up so irresistibly funny is down to the fact that it almost looks as if he believes what he is saying. He says the most risible, rude, racist things and when you look in his eyes you can see he is totally selling his performance to us; its a new brand of ironic stand up that people are really taking to. Hilariously penalising all who don’t stay living around where their grand parents lived- “yes I know your grand parents were killed in the holo cause but that was no reason for your parents to flee their country!” Plus it penalises ‘English’ people who just moved to a different part of the country to look for work- “I know Thatcher closed down the mines in the North but that was no good reason to start looking for a job down South!” Hilarious policy idea! He also has sketches on why women decrease the value of business because they only run away have kids and lose the client base. Plus the act is made even better by an excellent up and coming musical comedian Mike Reid, Farage’s warm-up act, and his performance of the edgy UKIP Calypso which blends far right racist comedy and calypso music in a mix of irony that would make Mike look like a totally fascist loon if it wasn’t for that fact he was being ironic! 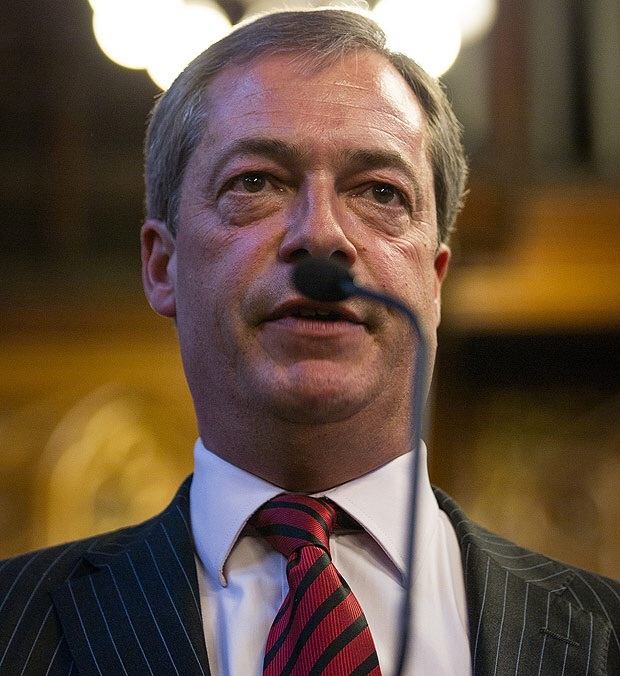 The judges commended Farage for using his satire to put a spot light on how ludicrous far right policies can sound. 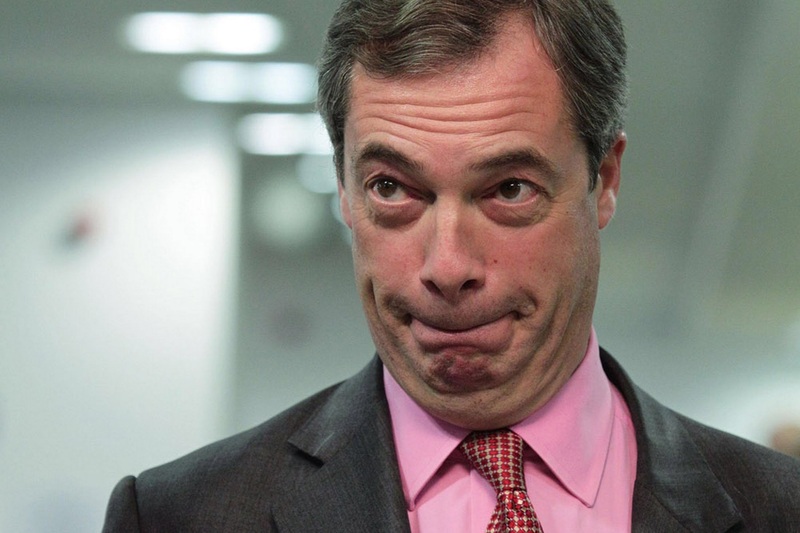 He’s been an absolute success and we here can only hope that we see more of Farage’s stand up routines in the future!